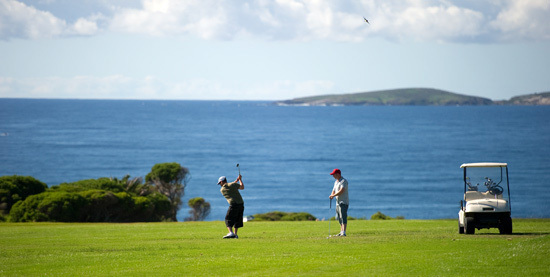 For golfers no visit to the south coast of NSW is complete without playing a round on Narooma’s famous golf course. 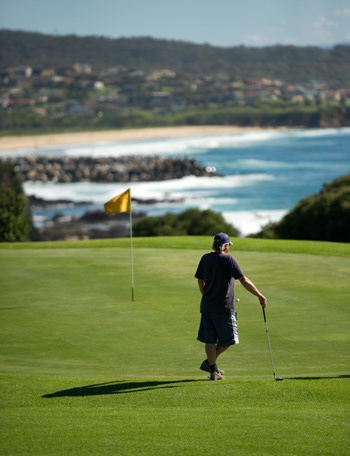 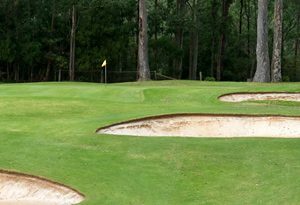 Narooma has also consistently ranked highly on lists of Australia’s top golf courses and has been unchallenged as the highest rated course on the NSW south coast. 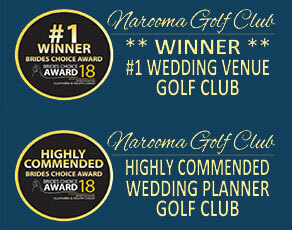 The Narooma Golf Club is proud to be ranked in the top 50 public courses in Australia. 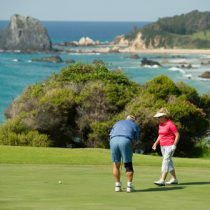 Narooma’s most famous six holes are perched high on cliffs overlooking the Pacific Ocean, but the back nine also offers something slightly different as it heads slightly inland to feature a series of holes framed by tall timbers before meandering around a large lake that comes into play on six of the nine holes. 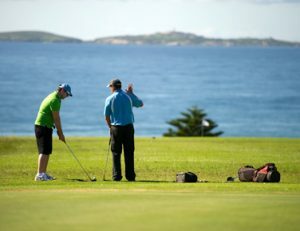 It is the range of varying conditions created by the ocean and forest sections of the course that are greatly appreciated by many golfers who relish the challenge of a vastly changing environment within a single round of golf. 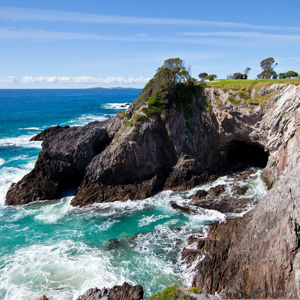 Often referred to as Hogan’s Hole (after television personality Paul Hogan shot an advertisement featuring it’s unique setting) the 3rd hole at Narooma is widely regarded as one of the most spectacular holes in golf with players hitting over the ocean to a cliff top green. 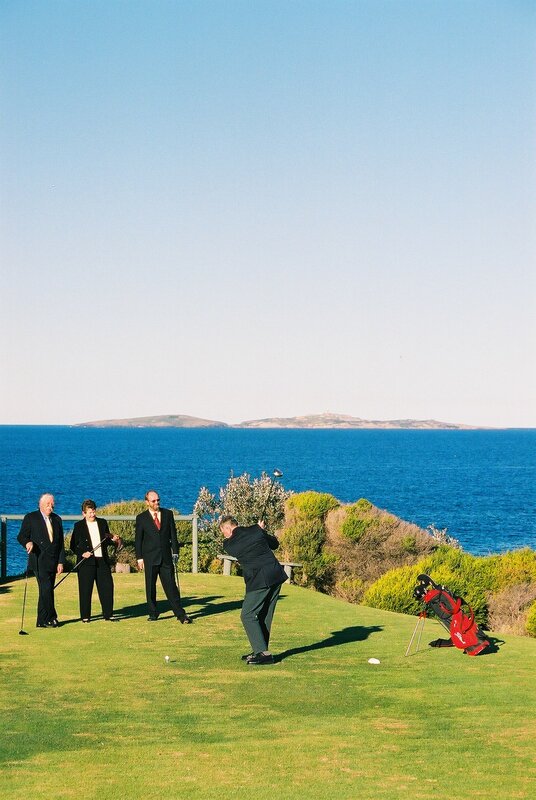 Organise your next corporate golf day, business meeting or company function at the Narooma golf club which is situated on the cliff with uninterrupted views of both the North and South Coast line. 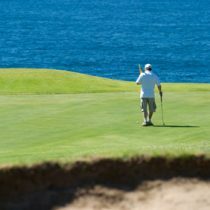 Besides magnificent and beautiful scenery you may also spot numerous Whales on their migration heading north in late Autumn returning in early spring with their newborn calves. 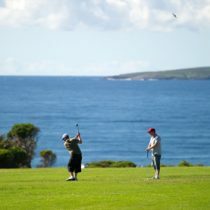 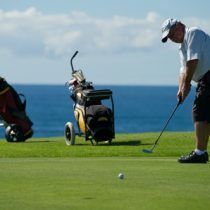 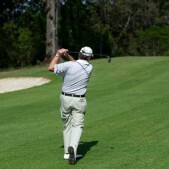 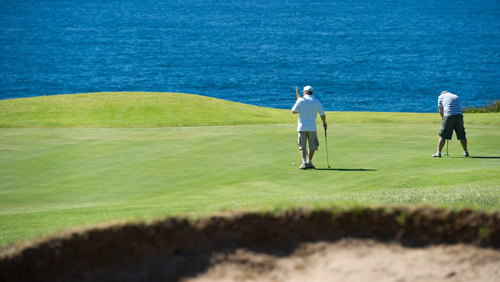 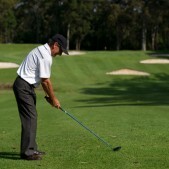 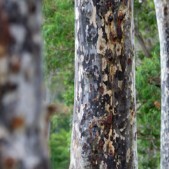 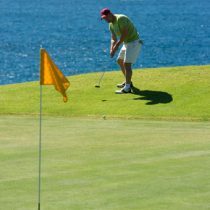 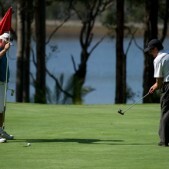 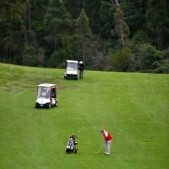 The golf club is also central to the town of Narooma and walking distance to our magnificent beaches. 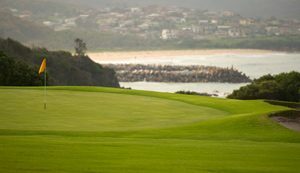 The golf course is a must play course with a spectacular opening which includes the front nine being a links style layout featuring wide undulating fairways built along cliffs with stunning Pacific Ocean views. 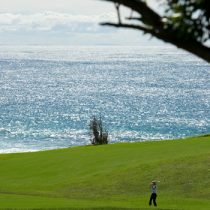 Some holes even rival the famous holes at pebble Beach notably Hogan’s Hole a par 3 with an ocean carry from clifftop to green. 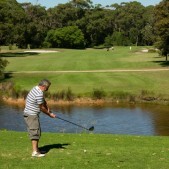 The back 9 is played through tall Timbers in a fairy Dell environment complete with a lake winding between holes. 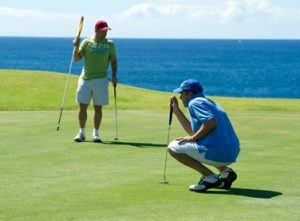 This course is highly rated being 19th in Australia for aesthetics and rated 22nd in Australia for public access courses. 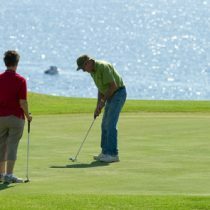 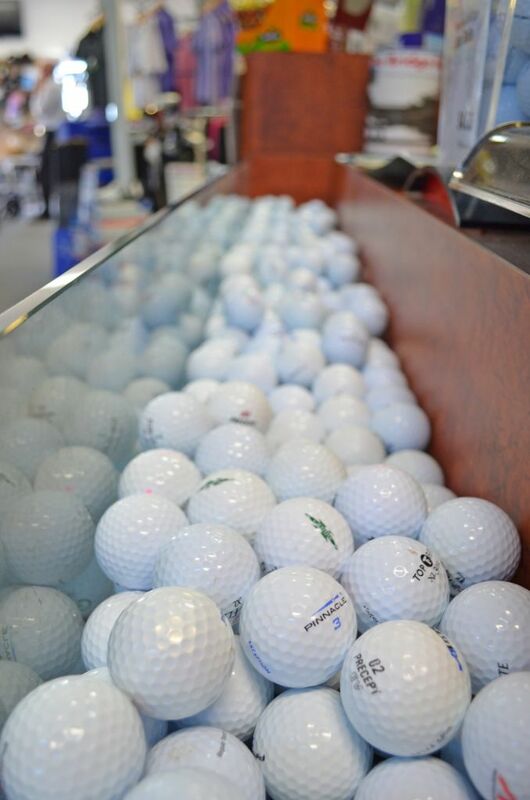 Our friendly staff will take care of every detail, from arranging golf clinics with our PGA approved golf professional, a golf package to suit your needs and end of day catering and/or trophy presentations. 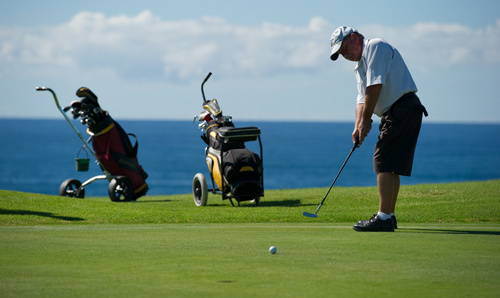 The clubhouse offers excellent modern facilities which includes the recently renovated Brasserie, barista coffee, modern bar, full TAB and Keno facilities and a courtesy bus. 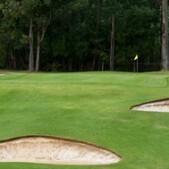 The club also has 4 function rooms catering from 20 to 250. 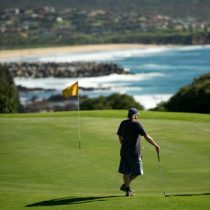 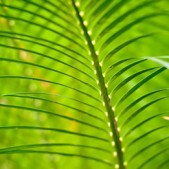 Accommodation is available within walking distance enabling your hospitality guests to unwind and enjoy the experience.